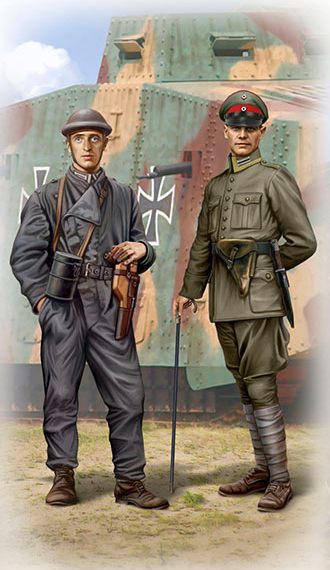 The “Tankmen of WWI era” kit continues the series of the figures dedicated to the subject of WWI era in 1/35th scale. 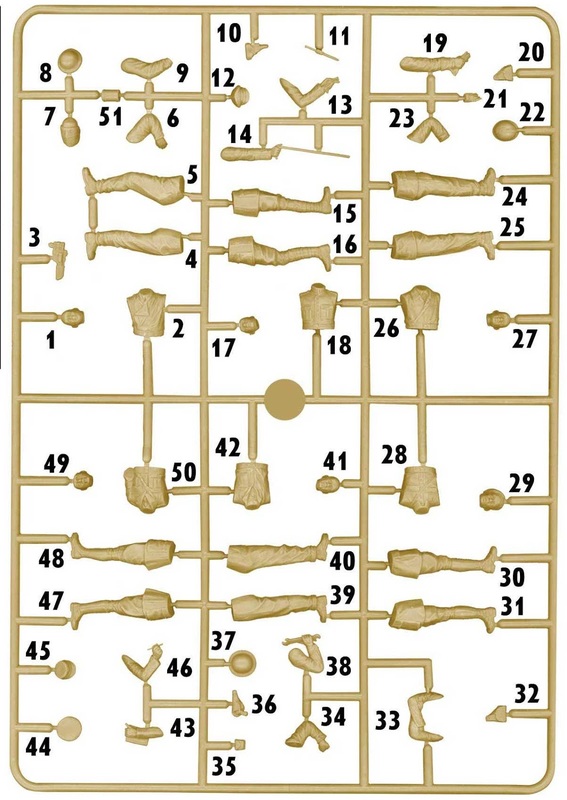 The kit consists of one sprue with all of the parts that you need to build six figures of tankmen of WWI era. 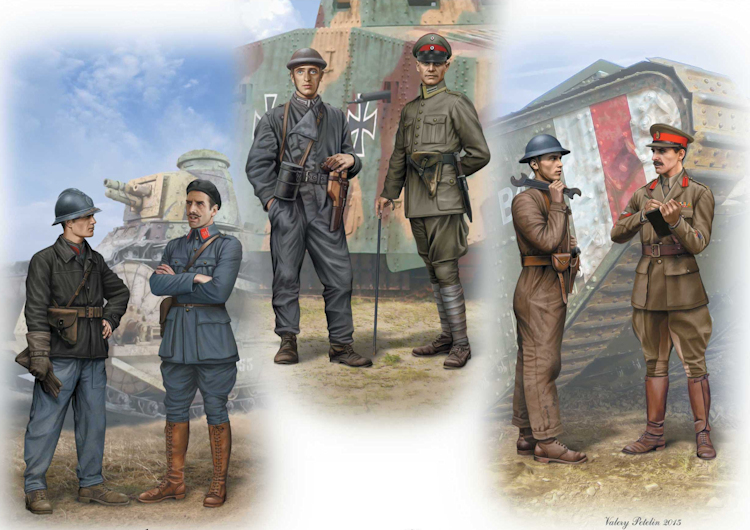 The uniqueness of the kit is that these 6 figures are divided into 3 pairs, each of those consists of private tank man and officer and each pair shows tankmen of French, German and British Armies. With WWI aircraft, tanks and figures being in the news recently this kit is very topical. 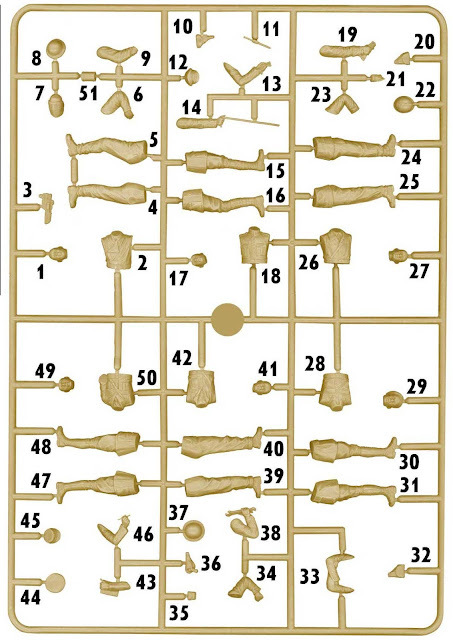 Having three different pairs of figures makes this a good purchase if you want to kill a few birds with the one stone – this is the figures as you could paint them up. 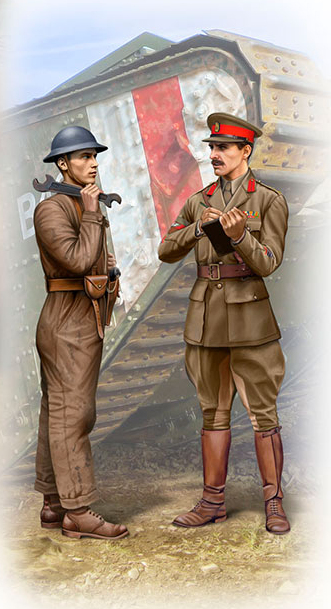 ...And the figures – firstly the German – an officer and tanker. 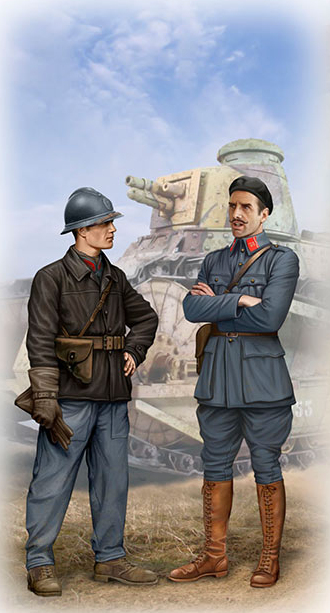 Then the Frenchmen – these uniforms did not change much even up until the second world war. 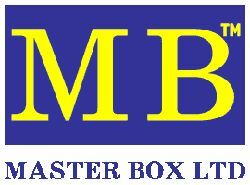 And lastly the British – these would look great next to your whippet or Mk.I,II, IV or V tank.